G Floor Diamond Pattern Vinyl Roll Out Flooring, Garage Floor Covering. Made In USA! Limited Lifetime Manufacture Warranty! Free Ground Shipping. The roll out garage floor covering mat by Better Life Technologies is a great garage floor protector mat. Do it yourself installation, no adhesives required, simply unroll the mat over your existing sub floor, no adhesive in most applications. Cover the entire area or just sections. Use in the garage, basement, game rooms, trailer floors, work shops, anywhere a durable floor is needed. G Floor Diamond Pattern Roll Out Garage Floor Covering is available Commercial Grade .75 mil (about thickness of a nickel), 3 Color Options; Black, Slate Grey, Sandstone Tan. Available Widths: 5', 7.5', 8.5', or 10' Wide. Our In Stock Sizes (ships 3 to 5 business days). Custom lengths up to 100' L, are cut at time of order. 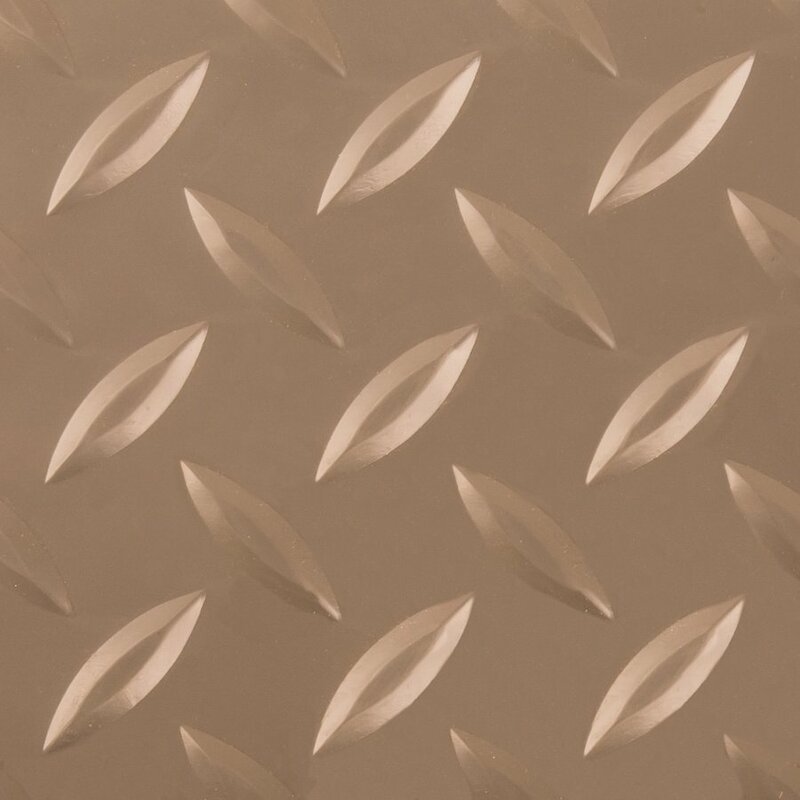 The G Floor Diamond Pattern Vinyl Garage Floor Covering by Better Life Technologies has a raised Diamond Plate Pattern and comes in several stocked sizes or custom cut lengths. G Floor Garage Floor Mats beautifies the garage floor in minutes, simply unroll your garage floor covering, no adhesive needed, and you use your garage floor the same day. Unlike most garage floor covering systems, epoxy coatings, or garage floor tiles our roll out vinyl flooring is easy to maintain and protects the floor for years. Our garage floor coverings comes in several unique patterns such as Ribbed, Coin Top, Diamond Pattern, and Smooth Levant and is available in multiple colors and thicknesses. 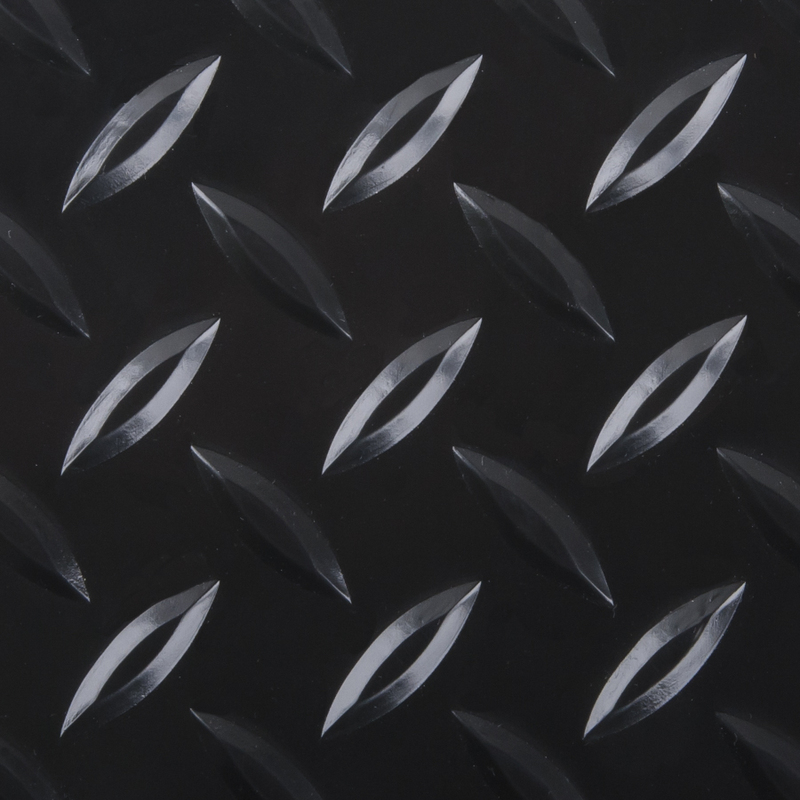 G Floor Diamond Pattern Roll Out Garage Floor Covering is available Commercial Grade 75 mil (about thickness of a nickel), 3 Color Options; Black, Slate Grey, or Sandstone. Available Widths in 75 mil 5', 7.5', 8.5', or 10' Wide and custom cut lengths up to 100' Rolls. Our In Stock Sizes (ships next 3-5 business days). Custom lengths are available with longer lead times. Garage Floor Covering Benefits The G Floor Garage Floor Cover by Better Life Technology is an easy do it yourself installation. The garage floor mats come in a roll, and you simply unroll over your existing sub floor, trim if necessary, and you are done. No adhesive needed. This material is solid vinyl, so it's water tight. Compared to Epoxy Floor Coatings, the installation of our garage floor mat systems is so simple, and easier to maintain. With our G Floor product you've got NO special floor preparation, toxic odors, messy application, or lengthy drying time. All you have to do with our G Floor Mats is simply clean the area, roll out your flooring and you're parking in your garage that same day. The tough PVC non-porous surface has been specially formulated to protect against oil, antifreeze, salt, and common contaminates found on garage and shop floors. BLT G Floor is 100% high quality polyvinyl throughout the entire product. Most other garage floor covering products only use high quality materials on the top 10%–20% of their product and laminate with lower-grade material that does not offer the same protection throughout. Some products even have three layers of filler using some of the poorest quality materials available. G Floor is solid polyvinyl and has the same resistances throughout the entire product top to bottom. G Floor is superior to all other floor coverings that you can drive and walk on.